With over five decades of pioneering contributions and “well-before-their-time” inventions, Henry I. Smith’s nanopatterning technologies have been critical to the semiconductor industry’s ability to produce the high-performance, low-cost electronics we take for granted today. Smith pioneered the field of nanofabrication and helped establish it as an academic discipline through his publications and by founding the Nanostructures Laboratory at the Massachusetts Institute of Technology. Among his many important contributions to nanopatterning are the attenuated phase-shift mask and liquid-immersion lithography. He demonstrated that using a partially transparent metal film to attenuate an optical signal, while simultaneously inverting its phase, yields a sharper intensity gradient in patterns on semiconductor wafers. Improved image contrast and higher resolution for dense and isolated features were made possible. Smith’s attenuated phase-shift mask is now used in manufacturing practically every high-performance semiconductor chip. Smith was also the first to demonstrate enhanced resolution in optical-projection lithography with liquid immersion, long before the semiconductor industry anticipated the need for such methods. In liquid immersion, the shorter effective wavelength of light enables a higher numerical aperture, allowing deep-sub-wavelength patterning of features on the wafer surface. 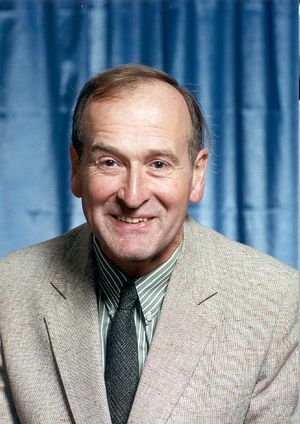 Smith’s work inspired the development of what is now the state of the art in nanolithography for the latest high-performance chips. Smith also demonstrated that soft x-ray lithography can be used to fabricate sub-100-nm structures and complicated integrated circuits. This led to extreme ultraviolet lithography, which many consider the main contender for future integrated circuit manufacturing. 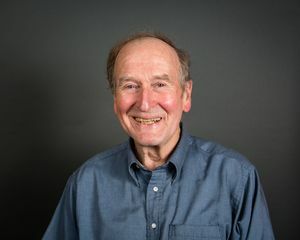 An IEEE Life Fellow and member of the U.S. National Academy of Engineering, Smith is a Professor Emeritus with the Massachusetts Institute of Technology, Cambridge, MA, USA. This page was last edited on 23 April 2018, at 19:07.